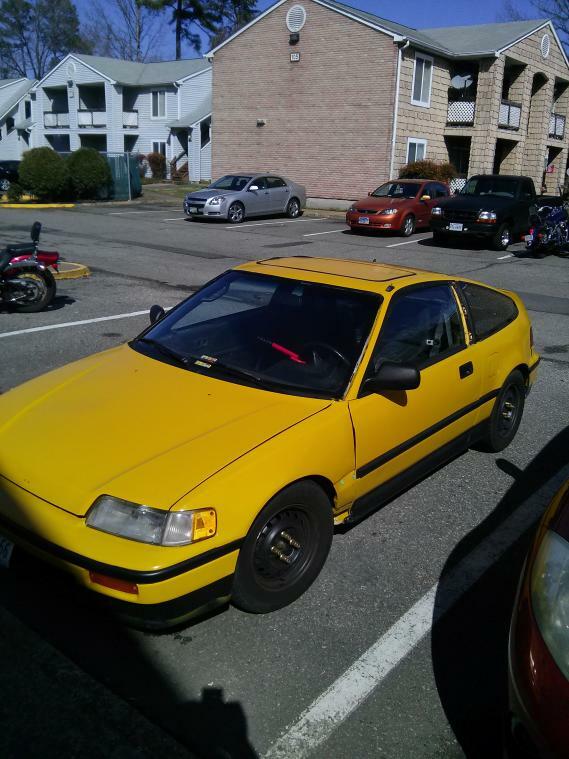 Description: Selling my 1989 Honda CRX Si. I bought this car last year, it had a lot of problems then, still has a bunch of issues. I really don't have time anymore. 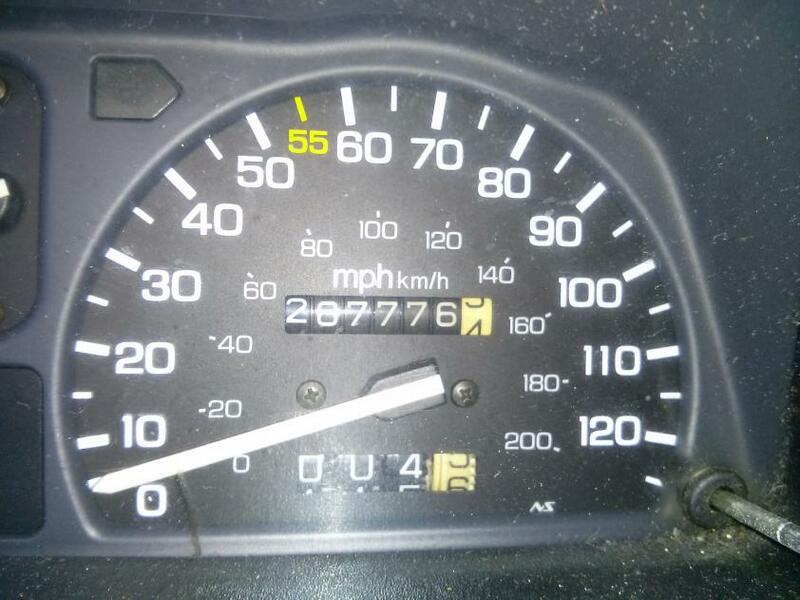 It has 267k miles. 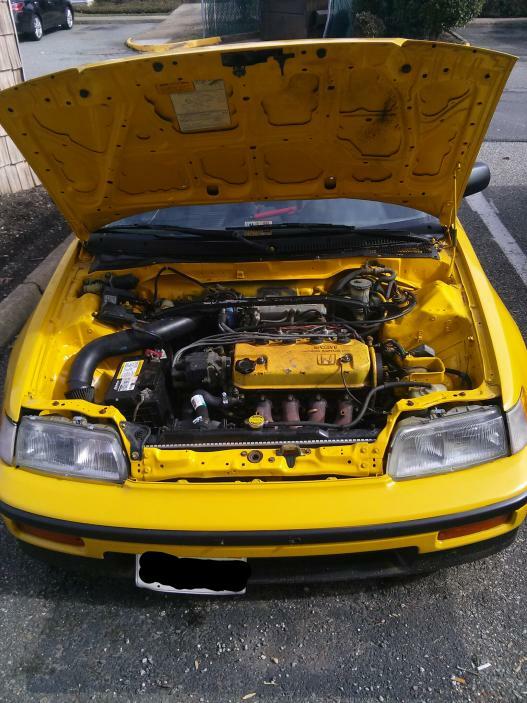 The car runs, but it needs some work. I'm asking $1700 Obo, this price will go up as stuff is slowly fixed. 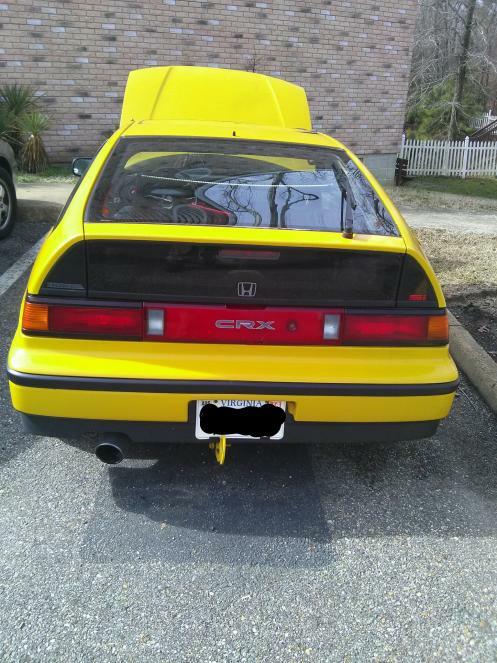 This would make a great project car. 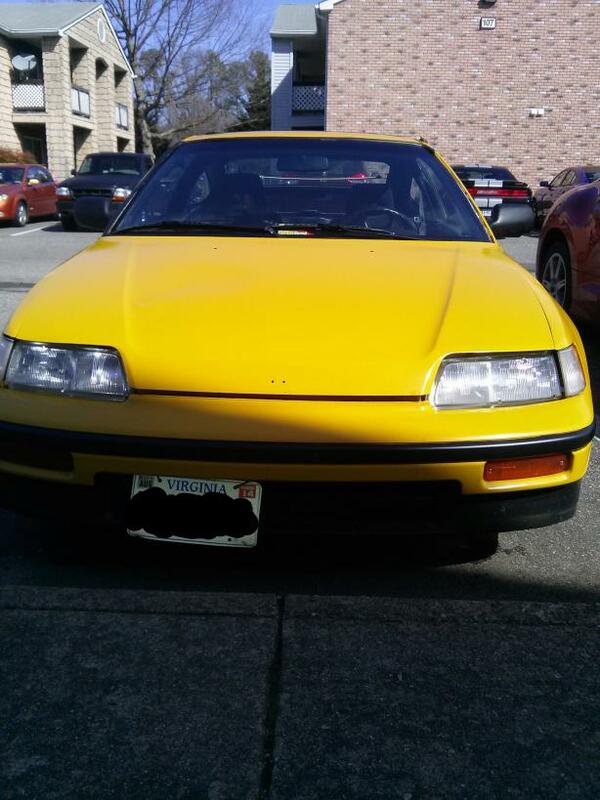 The car seems to be pretty stock, besides some cheap cold air intake that is placed in a rubber coupling. I have a stock intake box from a 1989 honda civic si in hatch. Just haven't installed. Timing belt tightened down by mechanics on Ft. Eustis. -Radiator fan not working, so car does get hot after running for a long period of time, or idle too long. -Driver side window off track. Located in Ft. Eustis / Lee Hall area of Newport News. Last edited by CzA; 02-24-2014 at 01:32 AM. Last edited by Hooch; 02-24-2014 at 01:09 AM. What I meant was the Valve cover gasket, not really sure about the head gasket.